Great price on this six-bedroom home in Ph 3 of WaterColor, FL. A LOCAL RENTAL COMPANY WILL GUARANTEE $183,035 IN GROSS RENTAL INCOME and the property is being sold fully furnished. A two-car garage with carriage house adds value to this already spectacular home. 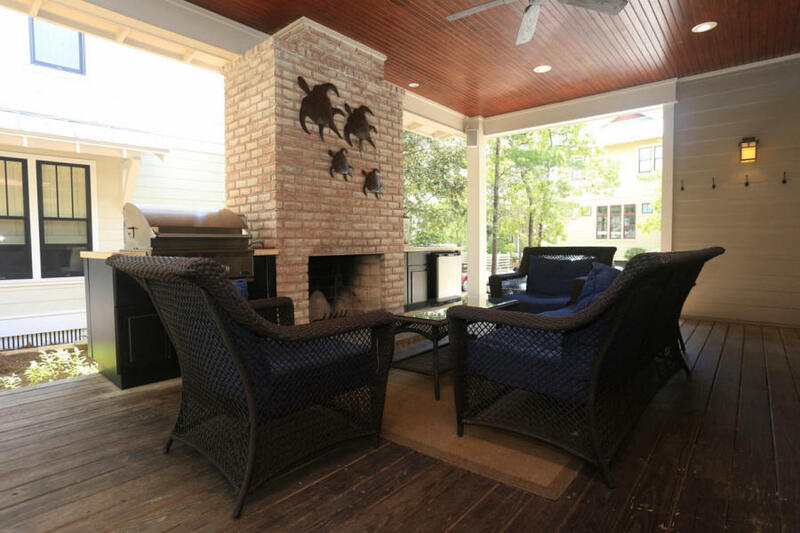 Three large porches – one screened and another with a fireplace – allow guests to enjoy the great Florida weather year round. 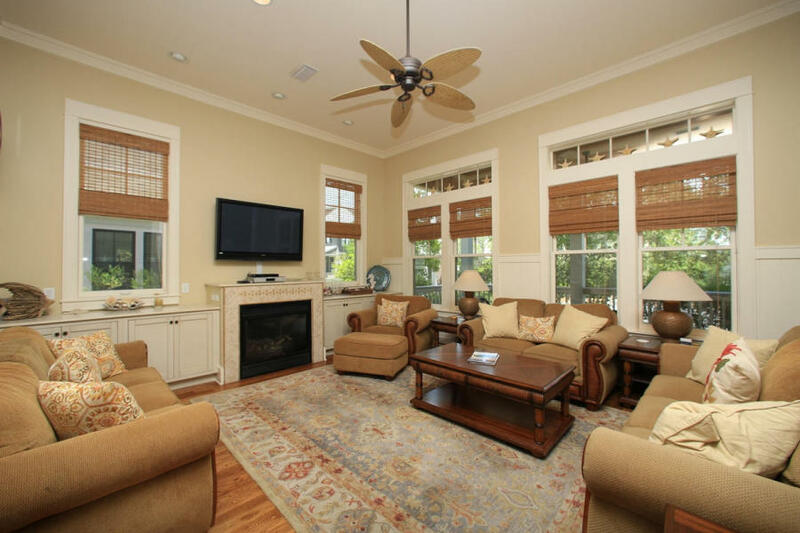 Hardwood floors run throughout the living areas of this home. Enter through the front door and you’re greeted to a large open living, dining and kitchen area, which is ideal for family get togethers and entertaining. There are two master bedrooms, one on each level. The first floor master includes a dual vanity tiled bathroom with separate shower and jetted bathtub. The master bedroom has access to the back porch with fireplace, built-in grill, and fridge. The kitchen comes complete with granite countertops, stainless appliances and custom cabinetry. Located off the living room and dining room is a wet bar with a wine cooler to mix up drinks for a relaxing night in. There is a half bathroom conveniently located on the first floor as well. Upstairs in the main house you will find four more guest bedrooms – the second master is located on this floor and includes a private screened in porch. There is a spacious bunk room which sleeps 6 comfortably as well as two additional guest bedrooms. A laundry room with full size washer and dryer and sink is on the second floor. Behind the main house you will find a two-car garage and carriage house as well as a driveway for additional parking. 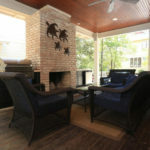 The carriage house has hardwood floors with a kitchen, living room and full bathroom in addition to a separate bedroom. WaterColor amenities include: community pools, gulf front pool with Beach Club, nature trails, kayaking, canoeing, fitness center, tennis and Camp WaterColor. 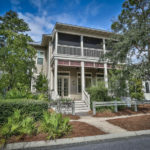 Centrally located to the best dining, unique boutique shopping, bike paths and some of the most challenging golf courses the gulf coast has to offer as well as next door to Seaside! 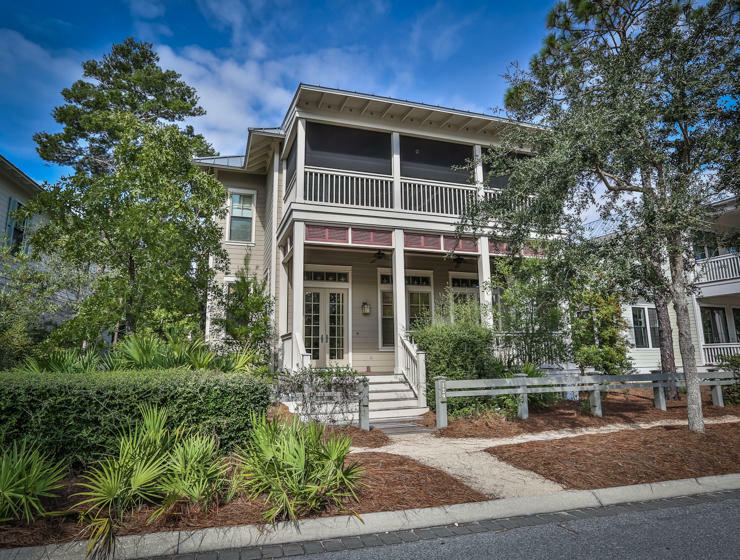 Easy access to Hwy 98, allows you to explore the nearby cities of Sandestin, Destin, or Panama City Beach, as well as, the Northwest Florida Beaches International Airport. All room dimensions and square footage are approximate and should be verified by the buyer. Buyer to pay a one time new buyer fee of .5% of the purchase price to St. Joe Community Foundation at closing as well as a $250 new buyer transfer fee to WaterColor HOA at closing.